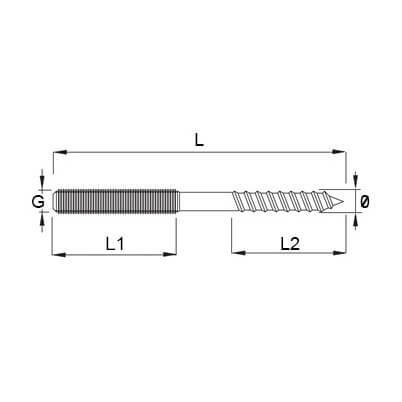 M5, M6 and M8 dual thread wood screw manufactured from 316 marine grade stainless steel (A4-AISI). 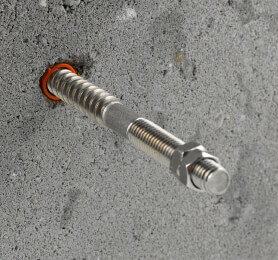 The dual or double thread fastener pin allows direct installation into wood and if combined with the correct rawl plug it is attachable to almost any wall or masonry surface. Ideal for marrying up to fittings with inside metric threads.